The Best Columbus Blogs from thousands of Columbus blogs in our index using search and social metrics. We’ve carefully selected these websites because they are actively working to educate, inspire, and empower their readers with frequent updates and high-quality information. 2.2 Columbus Underground | News, opinions and reviews on all things Columbus, Ohio. 2.13 Cbus Mom | Kids and Columbus...what's happenin'? Columbus newsletter is a comprehensive summary of the day's most important blog posts and news articles from the best Columbus websites on the web, and delivered to your email inbox each morning. To subscribe, simply provide us with your email address. Columbus, Ohio About Blog Come experience Columbus and see what makes us a great city to visit. Find things to do, hotels, restaurants, events, tips from locals and visitor travel information. Facebook fans 101,037. Twitter followers 106,253. 2. Columbus Underground | News, opinions and reviews on all things Columbus, Ohio. Columbus, Ohio About Blog Columbus Underground is THE independent voice for those who live in, work in, and love Columbus. Find News, opinions and reviews on all things Columbus, Ohio. Facebook fans 77,222. Twitter followers 171,520. Columbus, OH About Blog Exploring Columbus, Ohio with your kids! Ideas, tips, and generally good information about what you and your kids can do today in Columbus, Ohio. Facebook fans 6,144. Twitter followers 900. Columbus, Ohio About Blog 614 Mom is for the Mom who loves exploring Columbus with her kids, her spouse, or by herself. Focusing on empowering women, and supporting local businesses. Here at 614 Moms we are passionate about supporting moms, loving our kiddos, and exploring our city. Facebook fans 4,356. Twitter followers n/a. Columbus, Ohio About Blog Cbus Chic is an online lifestyle publication for women in the Columbus area. This features story, columns, and five editorial departments in the following topics: health, beauty, fashion, social and career. Events include fashion shows, lunch 'n' learns and philanthropic fundraisers. Facebook fans 1,814. Twitter followers 1,175. San Francisco, CA About Blog Events, get togethers, and suggestions on what to see and do in Columbus, Ohio! Facebook fans 1,186,708. Twitter followers 554,570. Columbus, Ohio About Blog Hi, I'm Nick Dekker! You can call me "Dr. Breakfast." I'm a breakfast blogger (that's a thing, apparently), author, and tour guide. With my wife and our two boys, we chase down breakfast everywhere we go. You'll also find me writing about coffee, brunch, donuts, beer, bourbon, travel, the arts, and our amazing city of Columbus, Ohio. Facebook fans 4,426. Twitter followers 6,049. Columbus, OH About Blog Just Bein’ Mommy is a family oriented blog that reflects on building a family while being a busy mom. This blog is run by a down-to-earth mom who writes about the products and activities that enhance the experience of being a mom. Her goal is to provide information and ideas to inspire the UN-inspired: The families of our generation. Facebook fans 6,869. Twitter followers 13,789. Columbus, OH About Blog My name is Mary, and I’m a bean counter by day, food blogger by night. This blog remains my creative space to share anything and everything food related, including recipes, cooking disasters, food stories, and restaurant reviews. Facebook fans 962. Twitter followers 2,113. Columbus, Ohio About Blog A Columbus-based lifestyle blog with a focus on style, travel, family, and beauty. Facebook fans 2,778. Twitter followers 2,428. Columbus, OH About Blog Hi, my name is Morgan Lee and I am a Columbus Lifestyle Blogger. Columbus Living Blog is a lifestyle blog dedicated to sharing the stories of events, people and places in Columbus, Ohio area including: restaurants, stores, gallery hops, fashion, and people. I want this blog to be fun and resourceful. There's so many new places to discover, new food to try, and good people to meet. Facebook fans 444. Twitter followers 1,016. Columbus, Ohio About Blog We are Kathy and Sophia and we started the Kasual Life as a creative and fun project! Kasual (a play on the word casual) defines our balanced lifestyle and down to earth personalities. We created the blog to share our perspective of life that focuses on healthy holistic happiness. Facebook fans 411. Twitter followers 312. 13. Cbus Mom | Kids and Columbus...what's happenin'? Columbus, Ohio About Blog cBus Mom offers suggestions and reviews of kid-friendly activities in Central Ohio. I am a Columbus, Ohio mom who like to get out and explore with the shorter and cuter versions of myself. Knowing what to expect ahead of time helps with planning, and hopefully these experiences and suggestions will help you too! Facebook fans 2,184. Twitter followers 2,653. Columbus, Ohio About Blog Wardrobe Therapy, LLC is a fashion-consulting firm located in Central Ohio that specializes in Wardrobe Consulting, Personal Shopping and Closet Organization & Fashion Styling for men and women. Make everyday a runway! Facebook fans 1,865. Twitter followers 660. Columbus, Ohio About Blog A local frugal mama who wants to help your family be healthy by providing fun activities incorporated with nature and diverse learning experiences. Facebook fans 3,109. Twitter followers n/a. Columbus, OH About Blog A blog highlightingthe latest and greatest of the food and drink scene around Columbus, OH. My take on local eateries, breweries, recipes, and more. Facebook fans 490. Twitter followers 1,071. Columbus, OH About Blog At Buri and Beach, we believe in eco-friendly and ethically produced products that provide environmental, social and economic benefits to communities. Play, wander and live in style with sustainable artisan bags. Our mission is to empower artisan women while sharing the beauty of our culture and to foster your desire to play, wander and live in style. Facebook fans 187. Twitter followers 16. Columbus, OH About Blog An everyday lifestyle blog by a fashion & beauty enthusiast. I am a wife, mother, full-time corporate professional, anti-human trafficking advocate, self proclaimed fashion & beauty enthusiast and this blog is a capsule of my existence. Facebook fans 830. Twitter followers 125. Columbus, OH About Blog We are two blogger moms out and about in Columbus looking for fun things for moms to do--restaurants, product reviews, girls night out, and travel too! Our mission is to be your resource for all fun things for moms to do around Columbus! Facebook fans 1,017. Twitter followers 2,026. Columbus, Ohio About Blog Are you looking for real fashion inspiration that you can actually wear, entertaining tips to make your party inviting and fresh decorating inspiration for your home? Blogging about OMG worthy fashion, food, decor and travel. Facebook fans 740. Twitter followers 1,018. Columbus, OH About Blog We’re a local group of Columbus food bloggers and social media gurus with one binding tie: a passion for great food. The goal of our group is to unite Columbus foodies and provide a platform for collaboration and connecting with local restaurants and food businesses. Facebook fans 508. Twitter followers 667. Columbus, OH About Blog Capturing emotion, love, and unexpected precious moments through photography in Columbus, Ohio. Inspiring you to get outside and have as many travel adventures as possible with your brood. Facebook fans 497. Twitter followers 126. 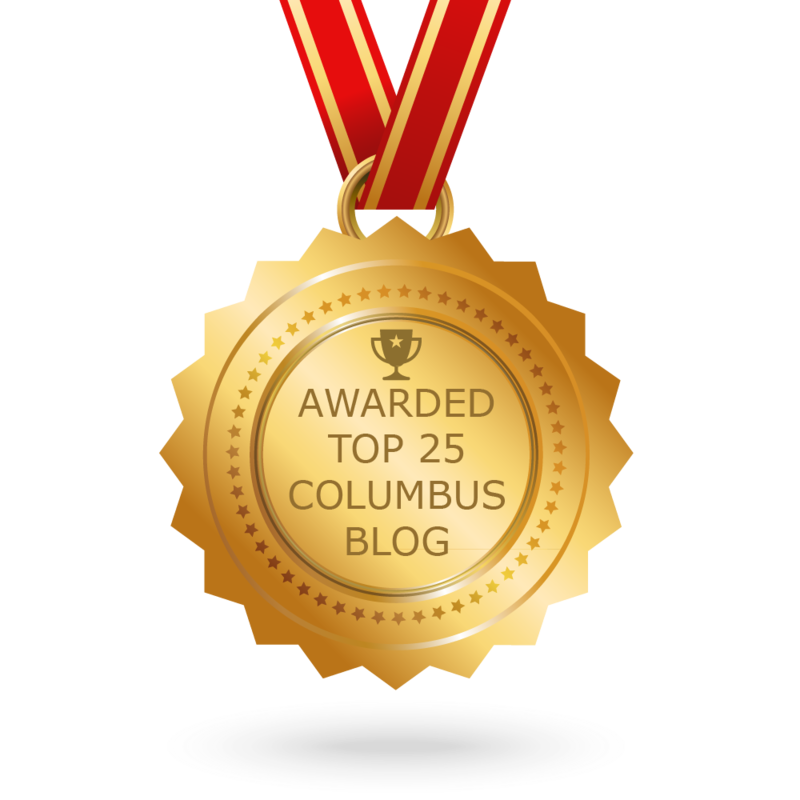 CONGRATULATIONS to every blogger that has made this Top Columbus Blogs list! This is the most comprehensive list of best Columbus blogs on the internet and I’m honoured to have you as part of this! I personally give you a high-five and want to thank you for your contribution to this world.